Did you forget any of these commonly overlooked deductions and credits? Tax season can be a stressful time of year and for many Canadians, the tax filing deadline seems to come out of nowhere. It’s understandable then, that in the hurry to file, many valuable credits and deductions are missed. To make sure you’re prepared for this tax season, take a few minutes to go through the list below; you just might find a credit or deduction you didn’t realize you could claim. As a rule, moving expenses can’t be claimed on your return except for specific situations. For example, if you moved to start a new job or to attend a post-secondary institution as a full-time student, you might be allowed to claim the amounts you paid to move at least 40 kilometres closer to your work or school. If either of these situations applies to you, not only can you claim the cost of renting a moving truck or hiring movers, but you can also claim the cost you paid to buy your new home (like legal or notary fees) or to maintain your old home while you’re trying to sell it. For more information, check out our article, Moving expenses. Most people think of medical expenses being only things like the cost of dental cleanings, prescription medications, and eyeglasses. However, depending on your medical condition, there are many different medical expenses that you might be able to claim as long as your doctor has signed off on them. For example, you might not have known that things like an air conditioner, furnace, electrolysis, and gluten-free products can all qualify as a medical expense under the right conditions. Note: You can also claim the premiums you paid during the year for private medical coverage. For more information, check out our article, Medical expenses. The Canada Revenue Agency (CRA) lets you claim a tax credit for interest you paid on your federal and provincial student loans. Be careful however; you can’t claim this credit for the interest you paid to a private lender (such as on a student line of credit from your bank) or if you consolidated two or more of your student loans. Depending on your income level and personal situation after you graduate, you might not need to claim all of the student loan interest you paid on this year’s return. If that’s the case, you can carry forward any unused amount up to 5 years for use on a future return. For more information, check out our article, Student loan interest paid in 2017 or interest not claimed in a previous year. You might already be aware that when you donate to an eligible charity you’re entitled to a tax credit equal to 15% on the first $200 you donate, and a tax credit of 29% on the remainder (up to a maximum of 75% of your income). What you might not realize is that the CRA lets you hold on to your donation amounts (up to 5 years) and claim them all on a single return so that you can maximize your donations’ impact on your return. If you are a first-time donor or haven’t claimed your donations before, you can claim an extra 25% donation tax credit on monetary donations up to $1,000. Keep in mind, this is the last year you can do so! For more information, check out our articles, Charitable donations and First-time donor’s super credit (FDSC). The amount you pay for transit passes can be considerable by the time the end of the year rolls around. In addition to claiming the cost of your own transit passes, you can also claim this credit for your spouse or common-law partner, and your dependants as long as the transit passes allowed for unlimited travel on local buses, streetcars, and subways. Short-term passes can also be claimed. Note: The federal public transit amount is being eliminated and you can only claim the cost of transit passes for the period of January 1, 2017 to June 30, 2017. For more information, check out our article, Public transit passes. If your child suffers from a learning disability, you can claim a credit for the amount you paid for after school tutoring sessions to help them complete their homework or to better understand the day’s lessons. Before you claim this amount, be sure to get written confirmation from your doctor that tutoring is necessary. To be eligible, the tutor cannot be related to the child in any way. Carrying charges are expenses you paid to earn income from investments. These can be claimed as a deduction on your return and can include fees you paid to your investment advisor or interest on loans taken out for investment purposes. For more information, check out the CRA website. If you recently bought a home (and you haven’t lived in a home owned by you or your spouse in the last 4 years) you might be able to claim the home buyer’s amount. This credit lets you claim $5,000 (equivalent to $750 in savings) for the purchase of an eligible home. For more information, check out our article, First-time home buyers’ tax credit (HBTC). If you pay your union or professional dues directly to the union hall, you’ll be issued a receipt when you make your payment. 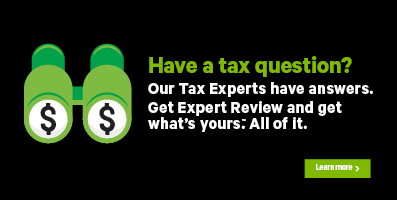 Since this amount won’t be on your T4 slip (or RL-1 slip if you live in Québec), as it normally would if you paid through your payroll, you’ll need to enter it on the All other deductions page in H&R Block’s tax software to claim it on your return. For more information, check out our article, Where do I enter my union or professional dues?. If you owned and operated a business out of your home in 2017, you can deduct a portion of the rent you paid that’s related to the workspace you used. For more information, refer to the CRA website. The WITB is a refundable tax credit for low-income individuals and families who have a working income over $3,000. The amount that you’re entitled to receive for the basic and disability supplement amounts (if applicable) is based on your working income and your family’s adjusted net income. Note: Residents of Alberta, British Columbia, Nunavut, and Québec must meet a different working income threshold in order to be eligible. For additional eligibility requirements, check out our article, Working Income Tax Benefit (WITB). For more information, check out our article, Schedule D: Solidarity tax credit & Relevé 31.